Alpaca. It’s what we know and what we do. 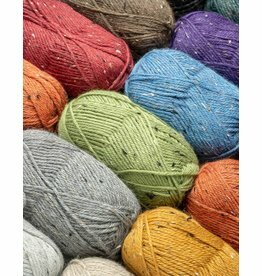 The Alpaca Yarn Company yarn, kits and patterns have been created with the greatest of care to showcase the best qualities of alpaca. Alpacas and the fiber they produce became a passion of mine over 15 years ago. As a lifelong knitter and then recent spinner, adding fiber animals to my farm seemed like a perfect fit. Owning a company that develops and distributes all types of yarn from these fantastic animals is more like a dream than a job. I have trained extensively in grading and sorting fiber, so I know the fiber we sell and can help you when you have questions. Together with my small staff, we create over 100 dyed colors in 10 different lines of yarn. 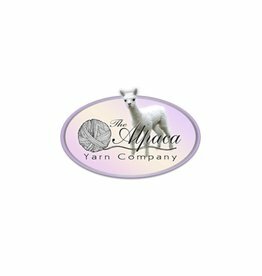 We distribute to hundreds of Alpaca Farms across the country along with many fine Retail Yarn & Knit shops. Alpaca is a hypoallergenic, natural fiber with the softness of cashmere and the strength of modern synthetics. Let us introduce you to the fiber we know best. These irresistible animals produce irresistible fiber. Alpacas are part of our every day lives. 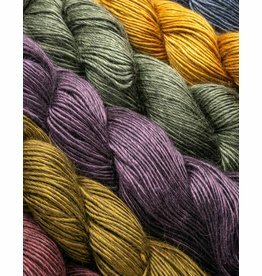 The Alpaca Yarn Company brings you yarns that are an affordable luxury you can enjoy every day. 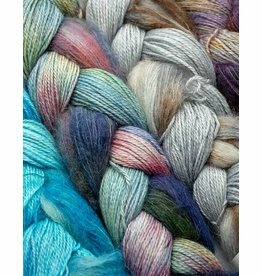 Kindred Spirits is a combination of 2 yarns - Served up in one beautiful package. So many ways to use these two lovely complimentary yarns together.